In May 1920, pitchers Luther Smith and Tom Seaton were released by the Seals, reportedly “for the good of the game.” They were not accused of any specific wrongdoing, but it was inferred from their release that they had ties to gamblers. Teams did not release capable pitchers without cause. Both men were subsequently banned from Organized Baseball, though no evidence of wrongdoing was ever presented. Smith and Seaton maintained their innocence and “begged and pleaded that their cases be investigated.”2 But league presidents were not interested in investigating and were quick to blacklist the pair. The baseball careers of Smith and Seaton were thus ended by suspicion, without trial or jury, as part of a zealous campaign to “clean up” the sport. Luther C. Smith was born about 1891 on the Round Valley Indian Reservation in Northern California, 175 miles north of San Francisco. He was three-fourths Native American: His mother, Susie Dobbs, was a full-blooded member of the Concow tribe, and his father, Edwin Smith, had a white father and an Indian mother.3 Luther grew up on the reservation in the household of his mother and stepfather, Henry Downs. About 1903, Susie died and Henry remarried, and Luther remained in Henry’s household until departing as a young man. 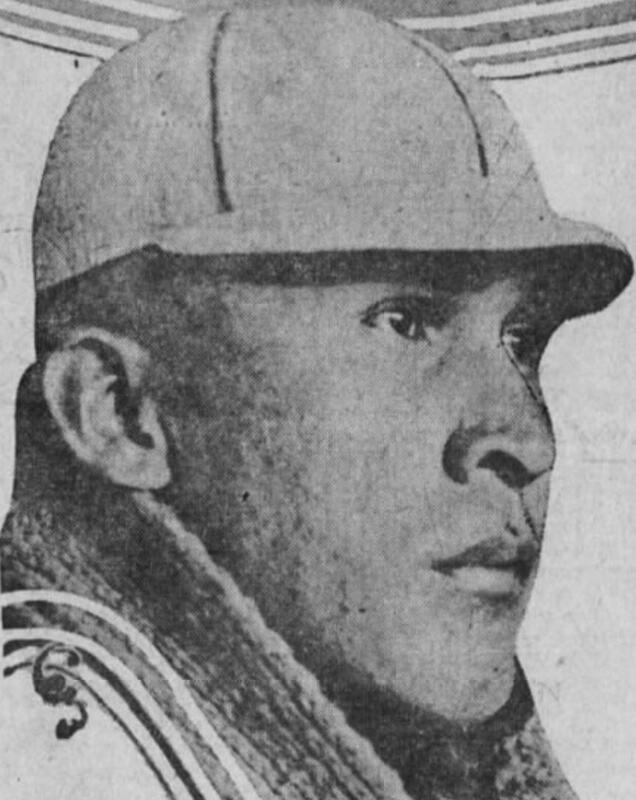 On Opening Day 1919 (April 8), Smith was wild and walked nine Seattle batters, but the Seals prevailed, 11-5.28 Five days later, in the first game of a doubleheader, he tossed a two-hitter and walked only three batters in another victory over Seattle.29 He twice shut out Sacramento during the 1919 season, on June 22 and again on August 12.30 But it was an up-and-down year for Smith as he struggled with his control. He walked 145 batters in 305 innings and compiled a 17-19 record with a 3.57 ERA. His 17 wins were second most on the team; the ace of the staff was Tom Seaton, who posted a 25-16 mark in 354 innings with a 2.85 ERA. Richter, Francis C., ed., The Reach Official American League Base Ball Guide (Philadelphia: A.J. Reach Co., 1913, 1915, 1918). 1 A.C. Joy, “Magnates to War on Baseball Gamblers: Vigorous Steps to Be Taken to Protect the National Sport, Says Strub,” San Francisco Examiner, December 6, 1919: 12. 2 W.N. Stone, “Smith-Seaton Case Has Been Dropped: Unfairness in Baseball Is Shown When Players Are Ousted on Suspicion,” Arkansas Democrat (Little Rock), December 10, 1920: 19. 4 I.E. Sanborn, “Cubs Start Race for 1912 Pennant,” Chicago Tribune, March 5, 1912: 9; “Cubs First Day’s Work Makes ‘Em Sore and Tired,” Chicago Inter Ocean, March 5, 1912: 4. 5 “Training Camp Notes,” Washington Herald, March 5, 1912: 8. 6 “Chance Pleased with Two of His Recruits,” Chicago Inter Ocean, March 8, 1912: 4. 7 “Diamond Gossip,” Moline (Illinois) Dispatch, March 20, 1912: 8; “Colonels Lose Again to Cubs,” Louisville Courier-Journal, April 1, 1912: 6; “Latest News by Telegraph Briefly Told,” Sporting Life, June 1, 1912: 3. 8 Reach Guide, 1913: 369-373. The 1912 season was Luther Smith’s only season on the Columbia team. In September 2018, Baseball-reference.com indicated that Smith also played on the 1911 Columbia team, but it was Happy Smith, not Luther Smith, who played for Columbia in 1911, according to an article on page 8 of the August 10, 1911, issue of the Charlotte (North Carolina) Observer. 9 “Game at Charleston,” Charlotte (North Carolina) News, May 17, 1913: 6. 10 Reach Guide, 1915: 263, 264. 11 “Columbias Easy for Home Team,” Healdsburg (California) Enterprise, May 22, 1915: 2. 12 Pete Ponzo, “Healdsburg Beats Ukiah,” Healdsburg (California) Tribune, October 14, 1915: 3. 13 Raymond S. Richmond, “Guisto to Start Season as Beaver First Sacker,” Sacramento Union, March 23, 1916: 9; R.A. Cronin, “Beavers Win Third and Last of Games with St. Mary’s, 5-3,” Oregon Daily Journal (Portland), March 20, 1916: 9; “Baseball News,” Oregon Daily Journal, April 10, 1916: 9. 14 Al C. Joy, “Oaks Bow to Seals Twice and Keep Four Hits for Souvenirs,” San Francisco Examiner, April 16, 1917: 9; “Seals Double Up on Angels, One a Shutout,” Salt Lake Tribune, June 4, 1917: 6; “‘Indian Sign’ Tells Story, So Says Hen,” San Francisco Chronicle, July 22, 1917: 8. 15 “‘Casey’ Smith Once Turned Down by P.L.,” Santa Ana (California) Register, May 28, 1917: 4. 16 “Seals Cop Game from Salt Lake,” Ogden (Utah) Standard, April 20, 1917: 2. 17 “Seals Win Over Angels 4 to 3,” Ogden Standard, August 29, 1917: 2; Harry A. Williams, “Standridge Is in Tough Luck,” Los Angeles Times, September 30, 1917: 12. 18 Reach Guide, 1918: 188. 19 Al C. Joy, “Seals and Oaks Split Even; Murray’s Head Nearly, Too,” San Francisco Examiner, June 18, 1917: 11. 20 “Murray Two Jumps Ahead of War Club,” Oregon Daily Journal, June 18, 1917: 7. 21 Al C. Joy, “Oaks Drop Out of First Division by Dropping Game to Portland Beavers, 3 to 1,” San Francisco Examiner, June 22, 1917: 13. 22 “Murray Hits Casey Smith on Jaw,” San Francisco Chronicle, October 29, 1917: 6; “Hearthside Talks,” Salt Lake Tribune, March 6, 1918: 10. 23 Ed R. Hughes, “Indian Smith Has Snap with Oakland Bunch,” San Francisco Chronicle, April 3, 1918: 9. 24 Lester Adams, “Seals Take Initial Game from Senators by Score 6-0,” Sacramento Union, April 11, 1918: 8. 25 “Seals Double Up on Tigers; Win a Couple,” San Francisco Chronicle, April 22, 1918: 6; “San Jacinto Earthquake,” Southern California Earthquake Data Center, scedc.caltech.edu/significant/sanjacinto1918.html. 26 “Smith Ties Bees into Hard Knot; Seals Score 12,” Salt Lake Tribune, June 7, 1918: 12. 27 “Fan Fodder,” Sacramento Union, June 30, 1918: 8; “Distinguished Frenchman Is Due at Kearny,” San Francisco Chronicle, July 18, 1918: 10; “Stove League Gossip,” Salt Lake Telegram, January 24, 1919: 12. 28 Ed R. Hughes, “Bad Pitching Spoils First Game of Year,” San Francisco Chronicle, April 9, 1919: 10. 29 Ed R. Hughes, “Seattle Team Finally Wins One Ball Game,” San Francisco Chronicle, April 14, 1919: 9. 30 Winnie J. Cutter, “Seals and Senators Split Games and Divide Series,” Sacramento Union, June 23, 1919: 8; “Seals Defeat Local Club,” Sacramento Union, August 13, 1919: 10. 31 William J. Slattery, “And Once Again Our Seals Get Short End,” San Francisco Examiner, April 8, 1920: 11. 32 William J. Slattery, “Seals Drop Pitchers Seaton and Smith in Baseball Scandal,” San Francisco Examiner, May 8, 1920: 14. 35 “Rival Moguls Seek to Stir Up Some Trouble,” Daily Arkansas Gazette (Little Rock), May 27, 1920: 12; “Smith Is Barred by Martin,” Atlanta Constitution, May 30, 1920: 1; “Little Rock Club Is Granted Injunction,” Arkansas Democrat, June 14, 1920: 1; Bob Pigue, “Charley Frank Wins Argument, as Usual,” Arkansas Democrat, June 22, 1920: 9; “Seaton and Smith Case Is Ended by Release,” Chattanooga (Tennessee) News, December 10, 1920: 14. 36 Abe Kemp, “Best of Kemp,” San Francisco Examiner, February 13, 1955: 50. 38 W.N. Stone, “‘Prexy’ Allen Plans Busy Training Season for Club Next Spring – Other Gossip,” Arkansas Democrat, November 23, 1920: 11. 39 Findagrave.com; California death record at Ancestry.com.